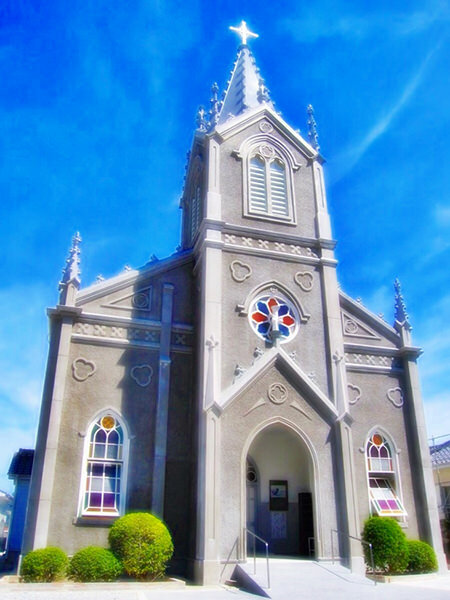 Sakitsu Tenshudoh is a catholic church in Sakitsu Village, Amakusa City, Kumamoto Prefecture. 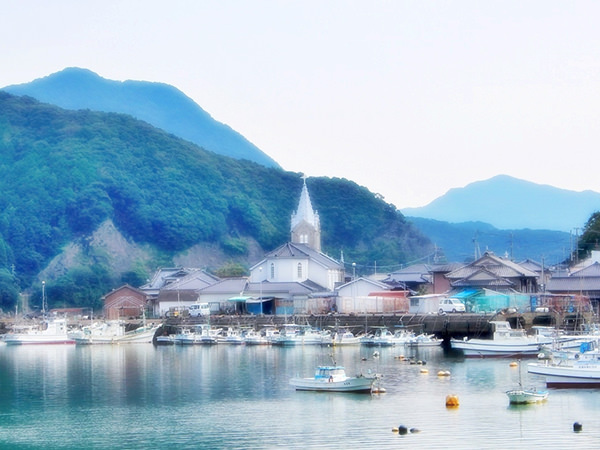 The village faces Yokaku Bay, belonging to Unzen-Amakusa National Park (refer to #400). The unusual feature of the church is that its floor is covered with tatami (Japanese traditional straw mats). It is a factor of "Hidden Christian Sites in the Nagasaki Region", a UNESCO World Heritage Site newly listed in 2018.